Spring has finally arrived at Orphans of the Storm® and all of the dogs were happy to spend some extra time outside, enjoying the warm sunshine. One quick reminder before we meet this week’s pooches: The Orphans of the Storm® Annual Benefit Dinner is this Monday, April 20. I hope to see you there! 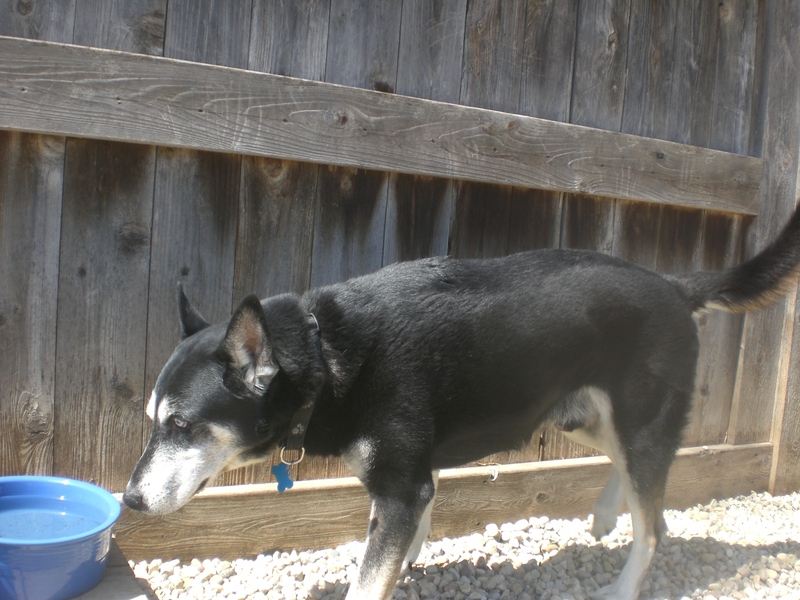 Sky the eight-year-old Husky mix is such a handsome boy. Surprisingly, he was found as a stray, wandering around on his own! He must have been part of a home at some point in his life, though, because he is very well-behaved. After an initial burst of excitement when he first gets out of his kennel, he settles into a nice walking companion. Sky is a super snuggly pooch. When I knelt down next to him, he put his head in my lap and then curled around so he was practically sitting on me. As long as you’re petting him, Sky will stick by your side. 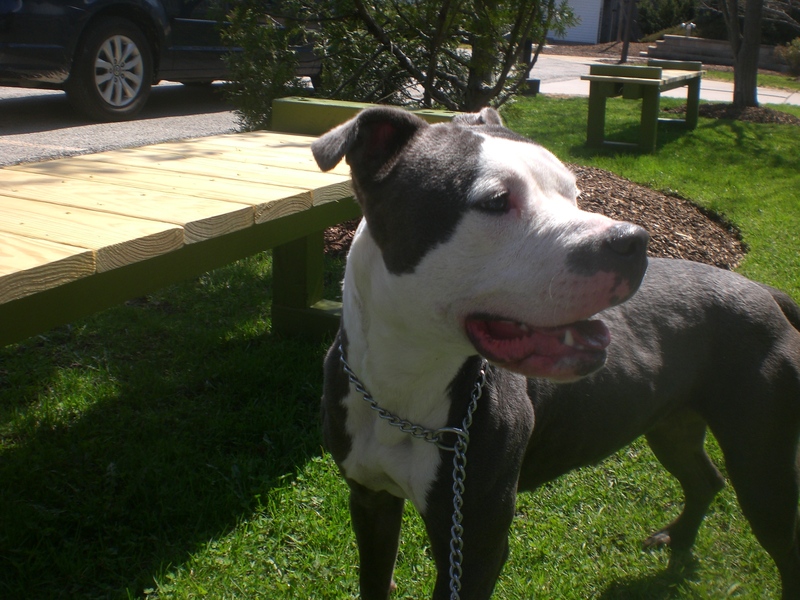 When I sat down on the bench at one point, he put his front paws up on the bench next to me and gave me a quick doggy kiss. It’s hard to know how Sky ended up as a stray, but one thing is clear–he’s ready to be your new best friend! 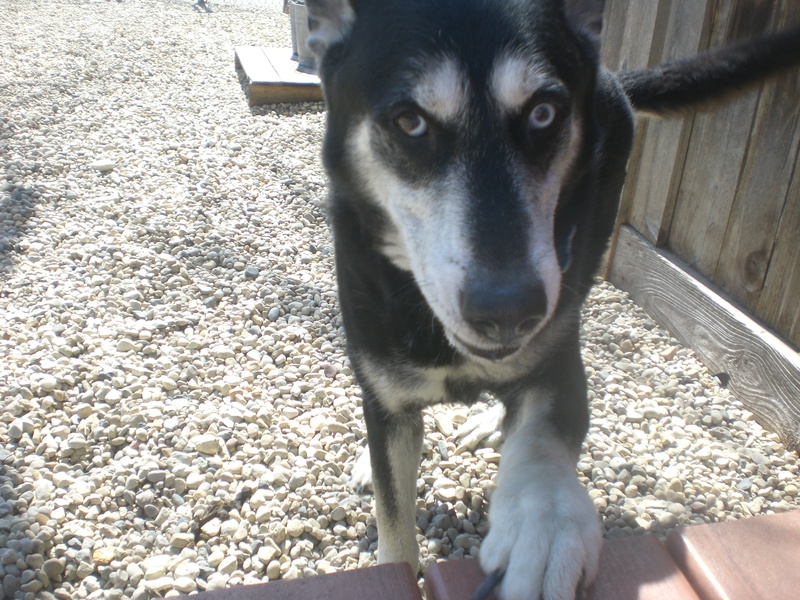 Stop by the shelter soon to meet Sky. Smoochie the one-year-old Staffordshire Bull Terrier mix is appropriately named because she’ll give you lots of doggy kisses if given the opportunity. When you stop by her kennel, her entire body starts wriggling with happiness and she’ll enthusiastically kiss your hand.That enthusiasm continues once she’s out and about. Smoochie is still very much a puppy, which means she has plenty of energy and would definitely benefit from some obedience training. Sometimes she’s pretty good at leash-walking, and sometimes she gets excited and starts to pull. 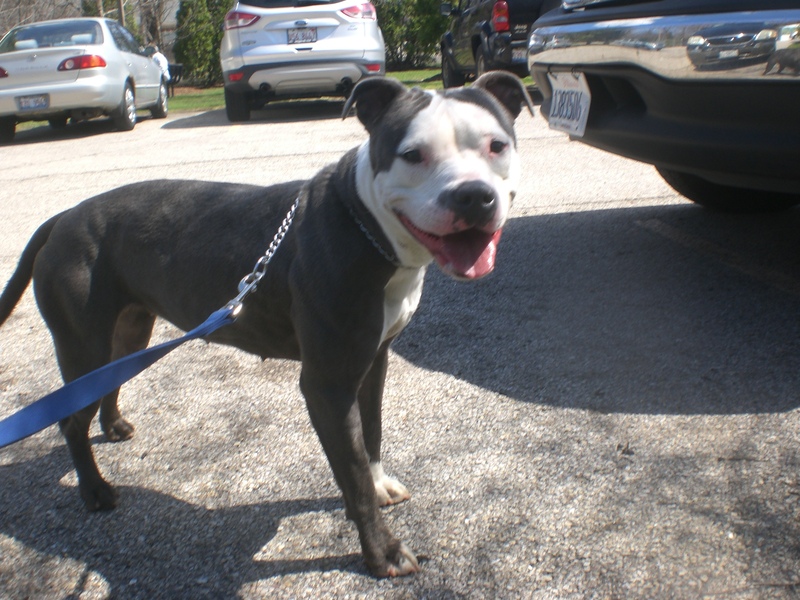 Smoochie would have a great time with a family that will give her plenty of love and attention and playtime. Also, just look at that face! Come in soon to see if Smoochie is the one for you. 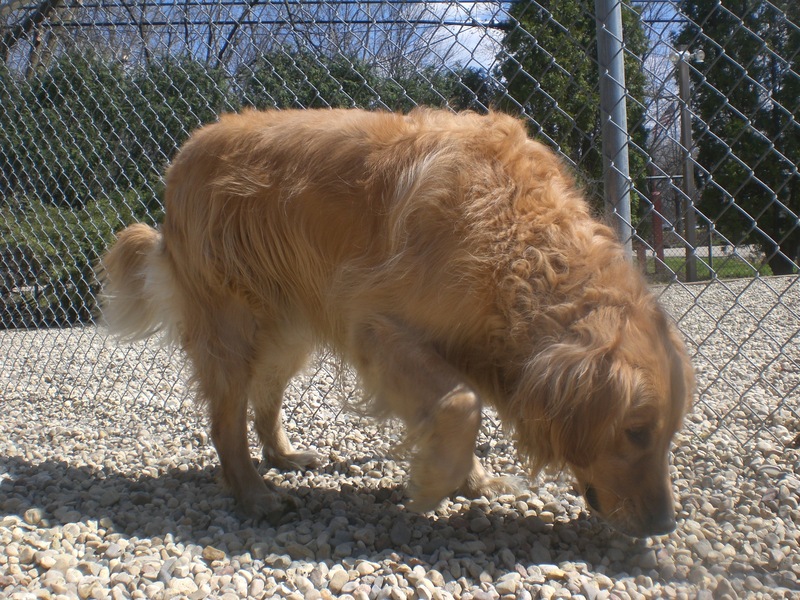 Freddy the five-year-old Golden Retriever probably isn’t going to be at the shelter for very long, because it’s pretty rare for purebred Goldens to end up in shelters. 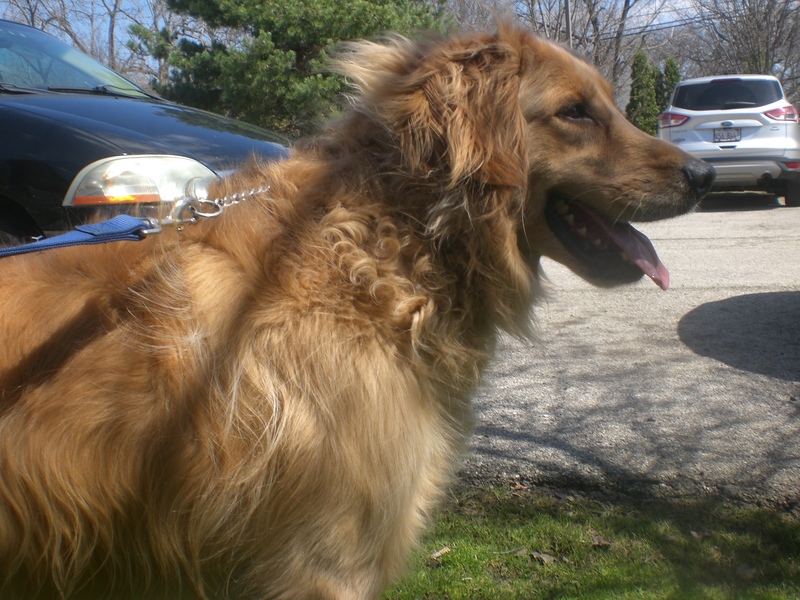 Goldens are known for being friendly and easygoing, and Freddy definitely has that in him, but he needs a little more time than most. He’s very nervous inside his kennel (understandably), but once you get him outside it’s like he’s a whole new dog. Freddy is an affectionate boy. When I knelt down next to him a few minutes into our walk, he put his front paws in my lap and covered my face in doggy kisses. Then he happily stayed right there while I pet him. Even a few people visiting the shelter commented on how much happier Freddy was when he was in the off-leash run versus inside his kennel. Freddy would like to be the only pet in his new home and would prefer to be in an adult-only home with people who will help give him a confidence boost. If you think you could be that person, stop by soon to meet Freddy! 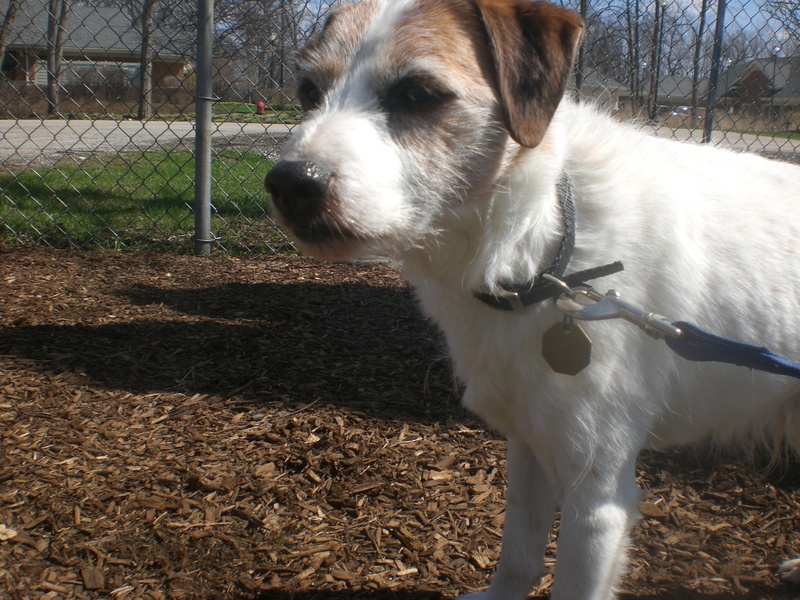 Sailor the six-year-old Jack Russell Terrier mix is a staff favorite who can often be found hanging out behind the desk in the front office. He’s a very sweet boy who can start off a bit timid, but warms up the longer he spends with you. 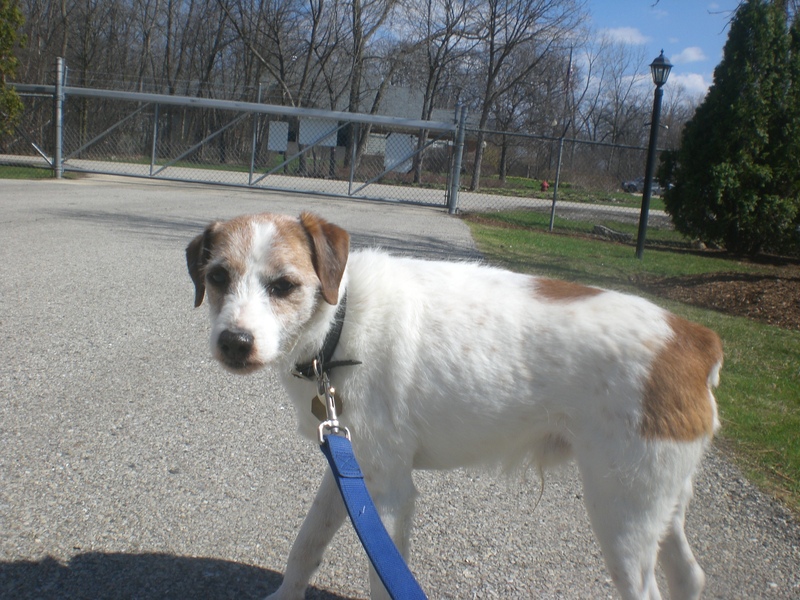 Sailor is an incredibly easy walking buddy; he doesn’t pull at all, but his little legs can move quickly enough to keep up with anybody. Sailor has such an adorable face. He’s definitely one of those dogs that will get a lot of “aww”s when you take him out for a walk in your neighborhood. When I sat down on the ground next to Sailor, he put one paw on my leg and gave me a tentative sniff. Later, when we were in the off-leash run, he liked standing underneath my legs while I sat on the bench–and he eventually hopped up to join me on the bench, too. If you’re looking for a little cutie, look no further than Sailor! I also saw Luciano, Azul, Blush, Cooper, Rosco, Spooky, Topaz, Zoey, and Winter. Posted by Meet the Pooches on April 16, 2015 in Dog Profiles and tagged animal shelter, animals, Chicago, dogs, Golden Retriever, Husky, Jack Russell Terrier, Orphans of the Storm, pets, Staffordshire Bull Terrier.